CLARKE LEADS A GROUP TO SAVE A FRIEND – Jaha (Isaiah Washington) and Kane (Henry Ian Cusick) disagree over how to handle their grim reality. 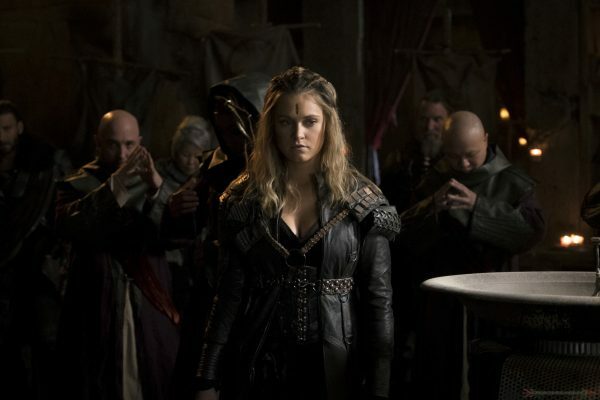 Meanwhile, Clarke (Eliza Taylor) leads a group to save a friend. Bob Morley, Paige Turco, Marie Avgeropoulos, Devon Bostick, Lindsey Morgan, Christopher Larkin, Richard Harmon, Zach McGowan also star. Alex Kalymnios directed the episode written by Aaron Ginsburg & Wade McIntrye (#412). Original airdate 5/17/2017. It doesn’t give very much to lead on does it? And, I wonder who the friend is.